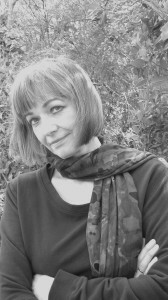 Jean Boase-Beier is Professor of Literature and Translation at the University of East Anglia. Her academic work focuses particularly on the translation of literary style; publications include Stylistic Approaches to Translation (2006), A Critical Introduction to Translation Studies (2011), the co-edited book Literary Translation: Redrawing the Boundaries (2014), and many journal articles. Her recent project, ‘Translating the Poetry of the Holocaust’, funded by the Arts and Humanities Research Council, involved research into how and why poetry is written about the Holocaust, how it can be translated, and what it means to read such poetry in translation. The project included a public exhibition and workshops, and the resulting book is also entitled Translating the Poetry of the Holocaust (2015). Jean Boase-Beier is also a translator from German, and editor of bilingual poetry series Visible Poets and Arc Translations, for Arc Publications.